I am so happy to offer you this amazing collection of interviews, videos, and lessons, designed to help you maneuver through the rapidly changing environment, expand your perception of what is possible, and awaken you to the phenomenal opportunities the fifth dimensional energies have to offer. I personally interviewed 22 Ascension and 5D trailblazers for the Waking Up in 5D Telesummit. The result is a profound compilation of cutting-edge information, insights and revelations into the world of 5D. A 5D Immersion is a 12-lesson deep dive into 5D. Each lesson corresponds to my book Waking Up in 5D. You will learn how to get to 5D, but more importantly, how to stay there! 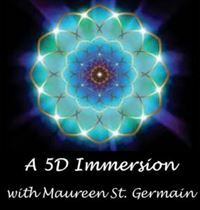 This special offer package, containing over 30 hours of mentoring and instruction from me, Maureen St. Germain, will assist you in turning your 3D viewpoints around, and to consciously choose 5D – where love is the governing force! 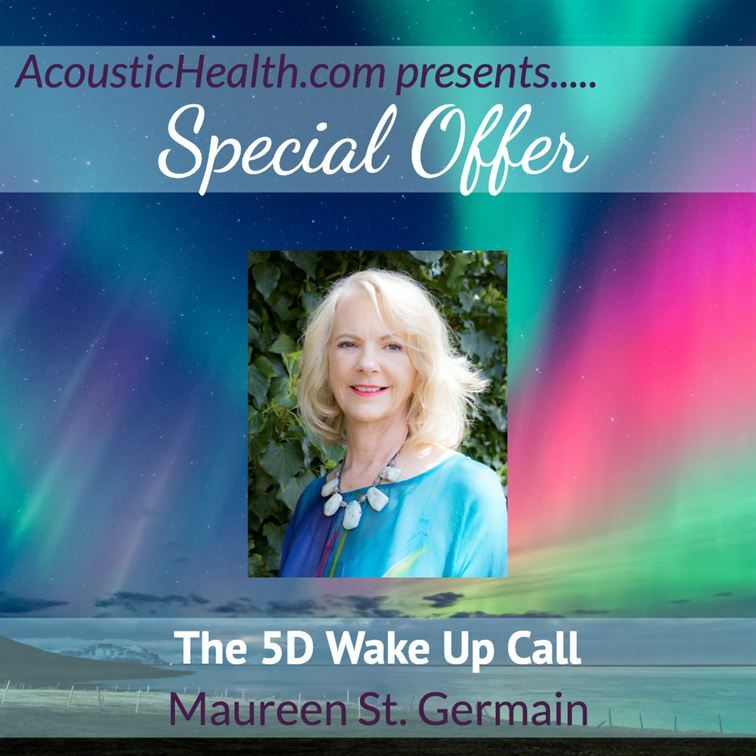 Join your host, Maureen St. Germain, and her panel of guests for the Waking Up in 5D Summit. Learn from revolutionary 5D leaders as they share ideas, tools, broader understanding and how to have a deeper connection to the 5D realm. Includes the entire collection of 22 cutting edge interviews. We have heard rave reviews of this series, never before offered. Are you ready to transition from the polarized mindset of the 3rd dimension, to the joy and love of 5th dimensional vibrations? Have you read Waking Up in 5D and want more? This 12-part course will help you maneuver through the dynamic terrain between 3D and 5D. You’ll learn how to reach and find your authentic self; How to change mind and perceptions; How to step out of limitation and limiting belief. You will learn how you can use your mind to take yourself higher spiritually and into a multidimensional way of thinking and being. This course comprises of 12 video and written lessons based on Maureen St. Germain’s best-selling book Waking Up in 5D. Each lesson will follow the chapters in the book. While reading the corresponding chapter will provide a broader knowledge base, purchasing the book is in no way required. You will still get a great deal out of each lesson.